On Sunday, Zoe -Pascale announced that she wanted to go visit something old. 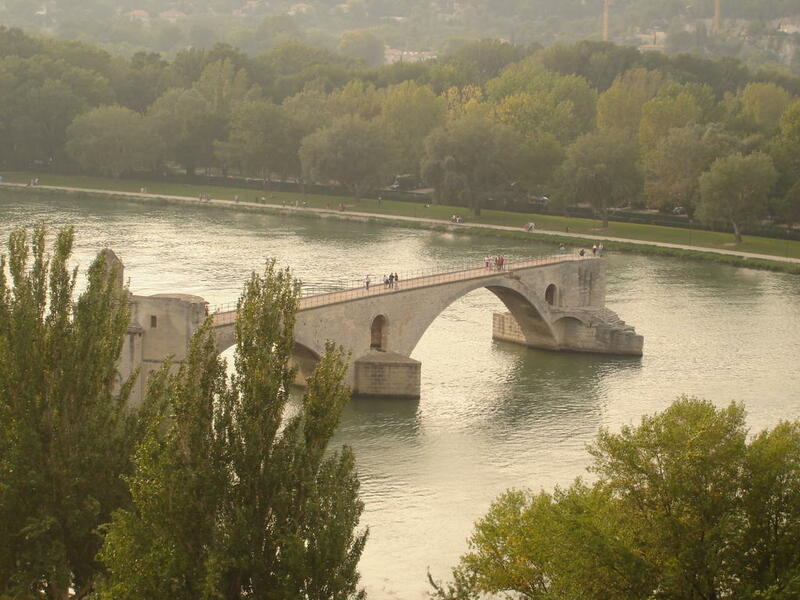 With that in mind we headed off for Avignon and a visit to Le Pont de Avignon. 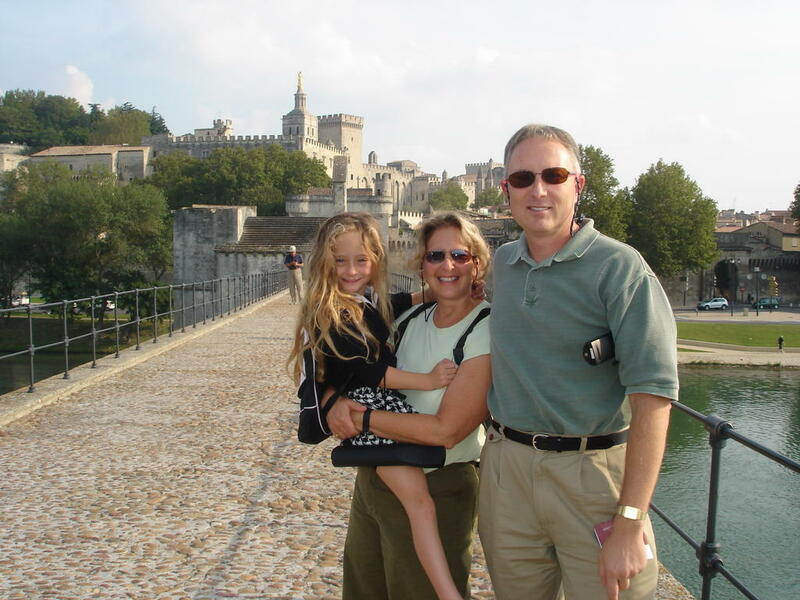 In all the time we have been here and drove by, we have never stopped to walk on the Pont and sing the song and dance to Sur le Pont Avignon. By the way we discovered that nobody actually every danced on the Pont (the bridge) but under it and the original song was Sous le Pont Avignon. Upon entering the area we received earphones telling us the history of the Pont. So for those of you who are interested here is a little history. A young boy named Benezet (later became Saint-Benezet) believed that he received a message from G-d that he should go build a bridge across the Rhone river in the 12th century. At that time there was no crossing between France and the rest of the Roman empire. Everyone he talked to in Avignon laughed at him and said if he really heard angels talking to him then he had to prove it by lifting a huge rock and moving it down to the river. Of course anyone who heard directly from G-d could do this and so he proved himself. As a result they built the bridge (wooden at that time) across the Rhone. In the next couple of centuries other Papes (Popes) added cathedrals to the bridge. In 1611 it was abandoned after many people had fallen off the edges in the icy winters. At the end we asked Zoe what she had learned listening to the tape. She replied with " I really didn't understand it all, but it sure seemed like a bunch of politics." Was she so right as the kings and Popes were always fighting over the bridge.